Dr. Klodawsky is a Professor Emeritus in the Department of Geography and Environmental Studies at Carleton University. Her areas of expertise include: public policy and social inclusion/exclusion in cities, especially in relation to housing, and feminist perspectives on cities, on community organizing, on housing and on homelessness. Her work utilizes both quantitative and qualitative methods within a collaborative, community-based framework. 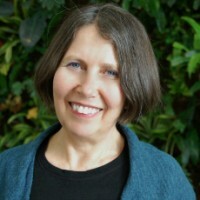 From June 2012-16, she was the Principal Investigator of a SSHRC funded project titled “Intersectionality in Practice: Feminist Theory and Urban Governance”, and she also led a previous SSHRC funded study (May 2008-12), titled “Learning Through Difference”. Fran Klodawsky is Secretary to the Board of Women in Cities International. She is also an Academic Advisor to the Steering Committee of City for All Women Initiative in Ottawa. “Choosing’ participatory research: partnerships in time-space”, Environment and Planning A (2007); and “Landscapes on the margins: gender and homelessness in Canada”, Gender Place and Culture (2006).